The lightweight folding rollator from Drive really is just that. Weighing a mere 6.2kg it is one of the lightest four wheeled walkers on the market. It features a flip-up padded seat with under seat bag which is perfect if you are out shopping. 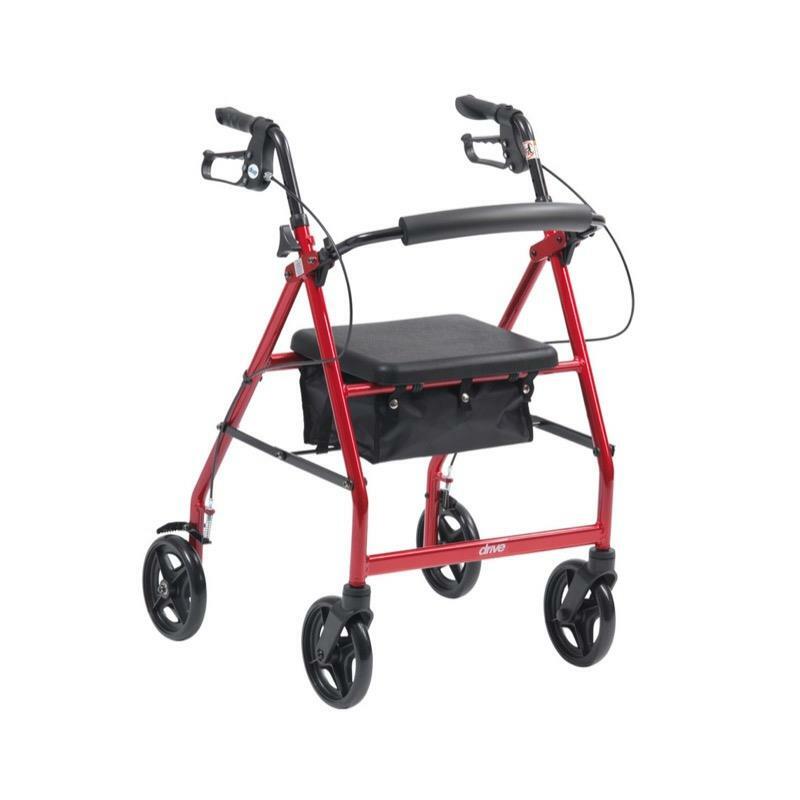 Additional features include adjustable handle height, arthritic loop brakes and flip-up padded backrest. The rollator collapses in seconds using the folding mechanism thus allowing you to take on a bus, train or simply pop in the boot of your car. Available in a choice of two metallic colours; vivid blue or spirit red. 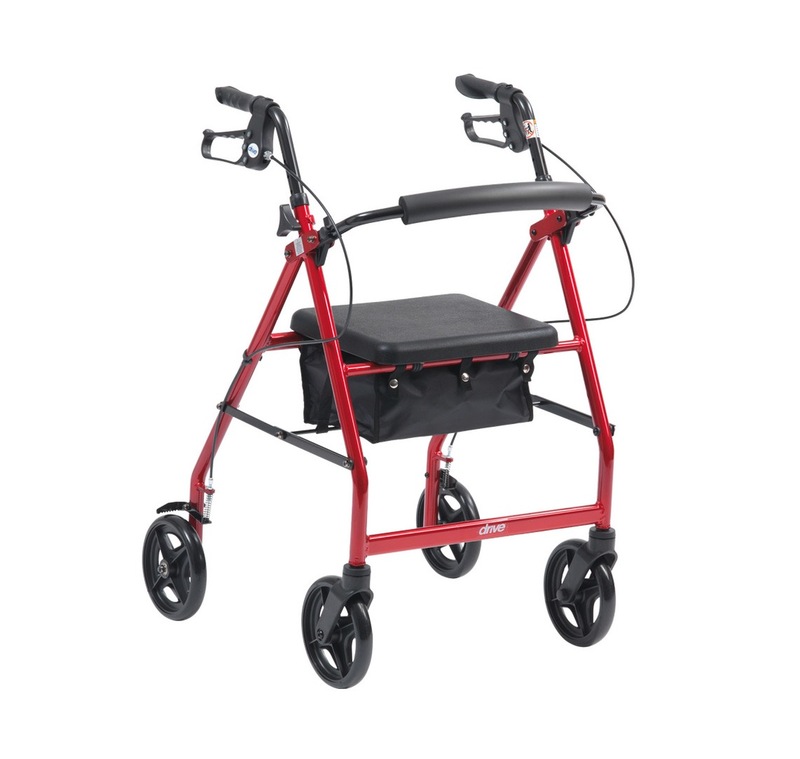 The Lightweight Folding Rollator with bag is available with 6" or 8" wheels. R8 is with 8" wheels - Suitable for both indoor and outdoor use. R6 is with 6" wheels - Suitable for indoor use only.